Here at Delta Force Paintball, if you look over to the West you can often see dust cloudslooming in the distance, vultures circling the sky and the sounds of conflict echoing the shadowy plains. Only the brave dare venture over to Gold Rush where a seemingly abandoned village lay cover to a long-forgotten stash of gold. Tensions rise as rumours of its whereabouts ripple throughout the streets. As the local law enforcement, it’s your duty to restore order within the village as several ofits inhabitants are starting to get restless and have their eye on that gold. Are you brave enough to fend off the greedy group of outlawsor is the temptation a little too sweet? 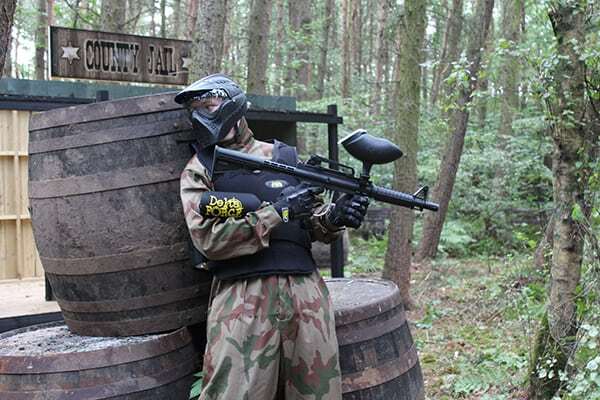 Check out the video filmed at Delta Force Paintball Manchester of the Gold Rush game zone in action to help prepare you for the battle. 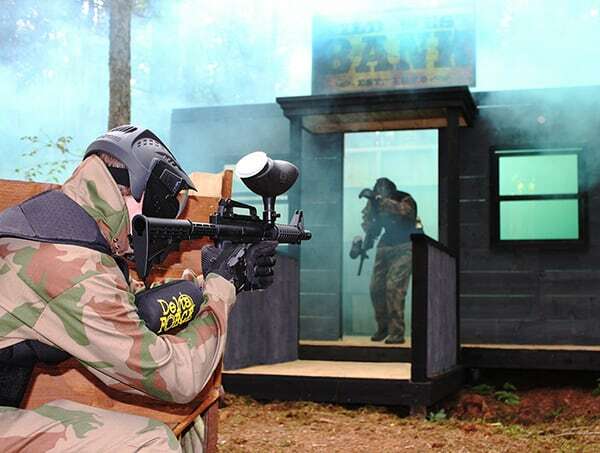 This Delta Force classic game zone has an array of props including a bank, the undertakers and a saloon complete with swinging doors to help give you a real authentic Western experience as you and your buddies take part in a real old-fashioned brawl. Only the weaponry here is a little more modern as we issue players with state of the art equipment including quick action paintball markers allowing you to go out guns blazing. 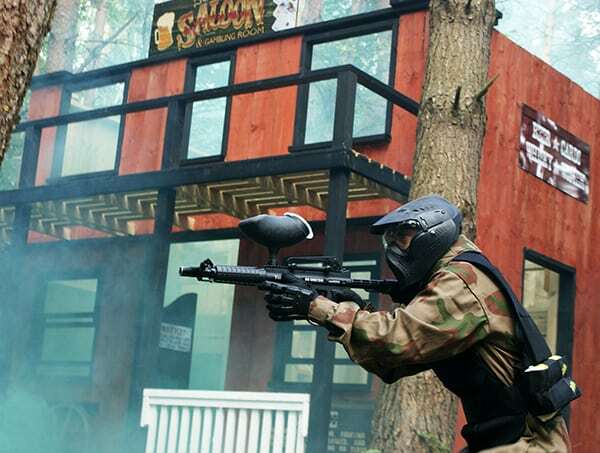 Paintballs can be bought at basecamp and we often have a selection of packages available on the day to ensure a great value day out for everyone. Plus we’re offering 3 grenades for just £9.99, which is the perfect way to organise a real highflying showdown here at Delta Force Paintball in the hunt for the prized gold hidden in the vault. So partner, the question isn’t whether you feel lucky, but whether a day here at Delta Force Paintball is the right choice for you. To which the answer is quite clearly yes! So what are you waiting for? For more information on booking our Gold Rush game zone, contact an event coordinator 24/7 on 0203 869 9301 or use our online booking form.